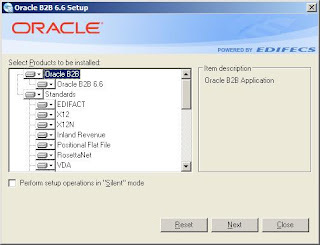 Oracle B2B Document Editor is an integral part of the Oracle B2B product. 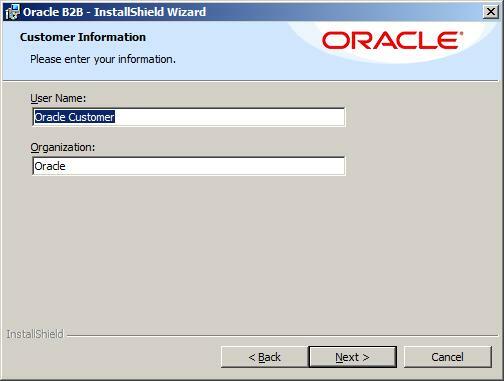 You may use Oracle B2B Document Editor to create and to implement guidelines for Oracle B2B custom document definitions. 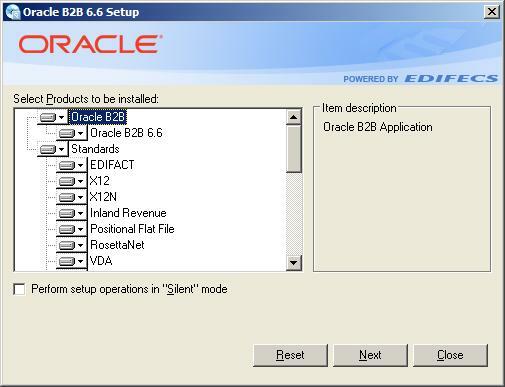 In this post I will discuss that how to install Oracle B2B Document Editor. 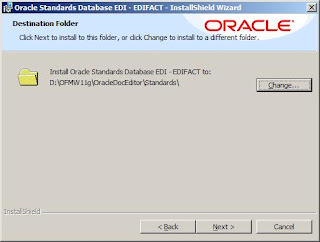 First of all you have to download Oracle B2B Document Editor (11.1.1.1.0) from here. 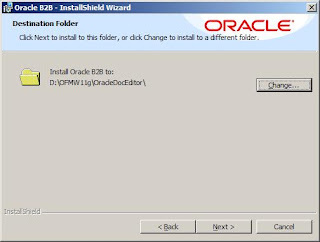 Oracle B2B Document Editor runs on Microsoft Windows only so you will find installable for windows version only on the download link. 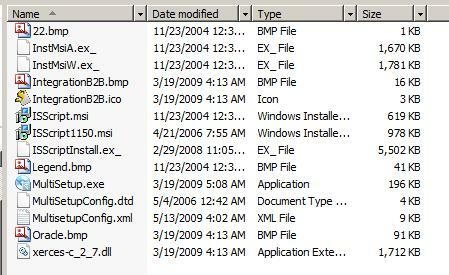 I changed the installation directory because on Vista you may face access issues if you install it in Program Files directory. 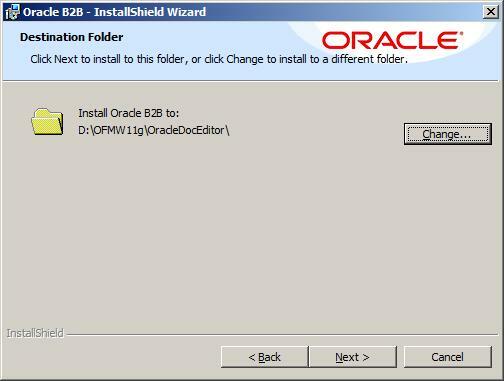 Once done with selection, click on “Install” and it should install Oracle B2B Document Editor in your machine. You may install the standards locally or a network drive (for sharing purpose). I installed them locally. 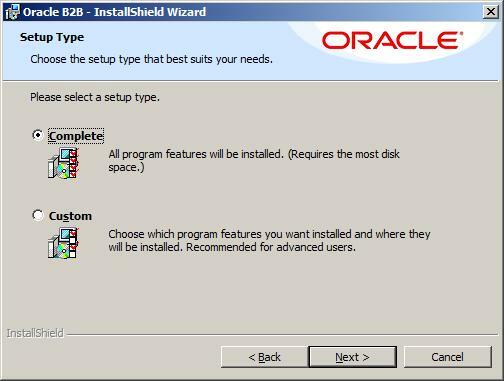 Once done with selection, click on “Install” to install the standard. Now you have to repeat above standard installation steps for each and every standard. Installation prompt will keep opening up one by one and you have to repeat the steps. Make sure that “Result” is “Ok” for all operations. You are finish with the installation process now. 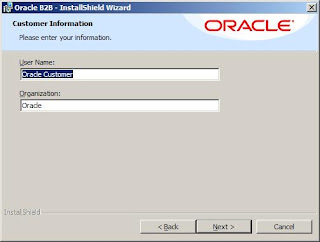 You may run “D:\OFMW11g\OracleDocEditor\SpecBuilder.exe” to start the Oracle B2B Document Editor. This is excellent work you are doing. keep it up! 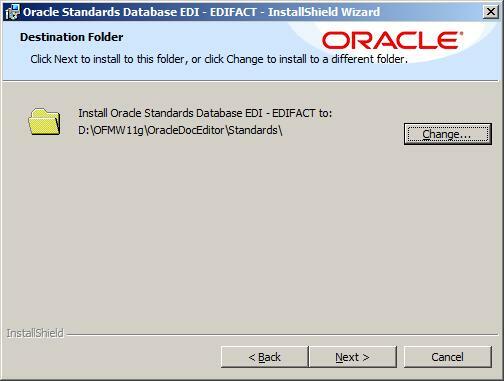 Do you have an updated version of the installation procedure for Oracle Document Editor? 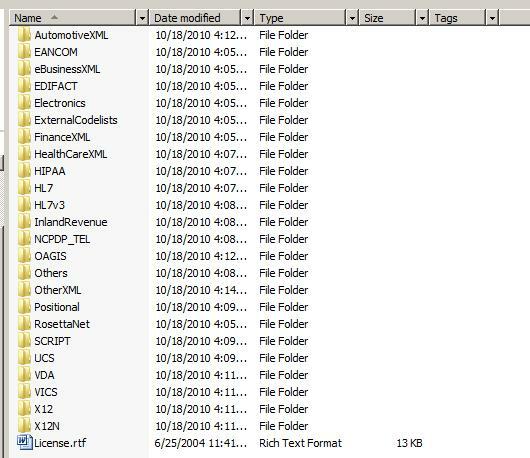 When I run install.exe at the top level, it install XML automotive. 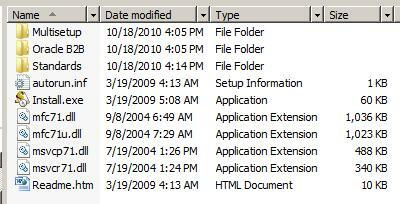 So I went into the Oracle Document Editor folder and ran setup.exe to install it. 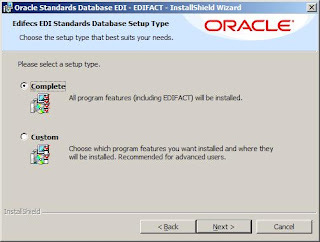 After I installed the latest version, it installed Oracle Document Editor 7.0.5.4016 and I run specbuilder.exe (powered by Edifecs) but the B2B healthcare tutorials don't match as this looks like a completely different version. Thanks a lot for all of your great help! I am new to B2B. Can you please tell me how to integrate B2B with BPEL for exchanging simple xml files with the trading partners. You have many options here but simplest is B2B adapter in 11g. 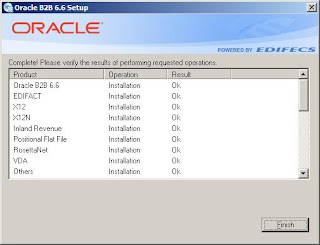 Raise a thread in Oracle B2B forum and I shall discuss it in detail there. you are just awesome Anuj ! First of all Good work! I had been working on soa applications but never been to b2b. But now i need to work on b2b using 11g. Below is some information regarding our SOA environment. We have decided to run B2B on a 11G SOA install. We don’t have this up and running yet . So what are the components need to be installed for b2b in 11g? 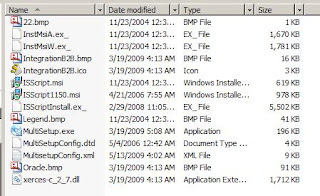 got some downloads there,but i want to know which components to be installed,i had looked at some blogs saying b2bconsole,Oracle B2B Document Editor. I want to check with you what all are neccessary? 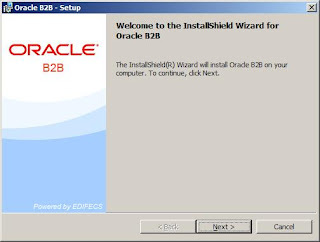 B2B is part of SOA Suite in 11g so you need to install Oracle SOA Suite 11g to use Oracle B2B. B2B Console is a web application which gets installed as part of SOA Suite itself. 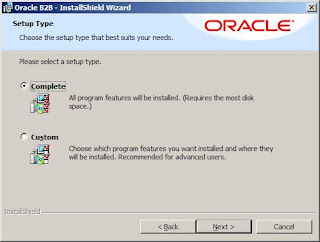 You have to install Oracle B2B Document Editor separately. 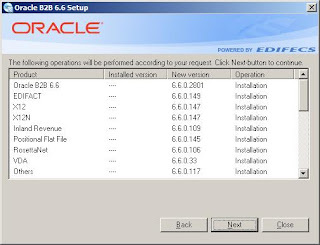 We have Oracle SOA Suite 11g license, do we need to separate license for Oracle B2B Document Editor 11g? 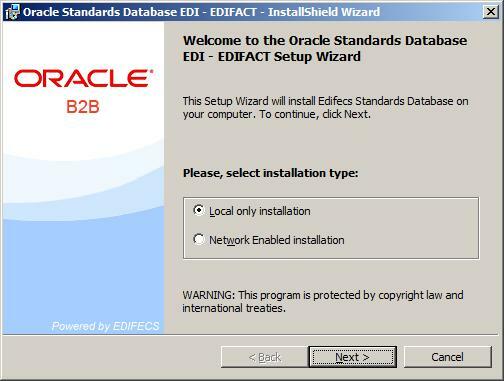 You need to buy EDI adapter license to use Oracle B2B Document Editor 11g. Do you know how the EDI adapter license works? Do you have to pay for each processor where SOA Suite runs, or do you just pay for the use of the Document Editor? 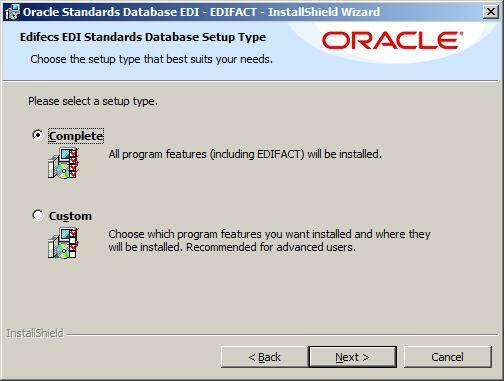 Please contact your local Oracle Sales representative to understand about EDI licensing. With one EDI adapter license, you get unlimited Document Editor developer license. 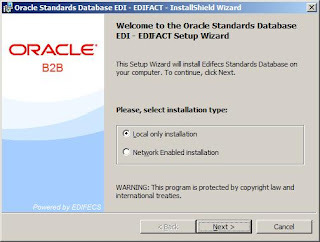 In short, you may install as many copies of Oracle B2B Document Editor as you want, if you have EDI adapter license. Great blog good consumer content.Making this information available will be an asset to all.Thank you and keep sharing. Thanks for providing the doc. Please provide doc related to 11.1.1.6 B2B editor installation. STEP 1: Unzip all 3 zip files to different folders. ex. Could you Please provide doc related to 11.1.1.6 B2B editor installation. where should i get all these zip files to download ? Please help me out. Thank you . 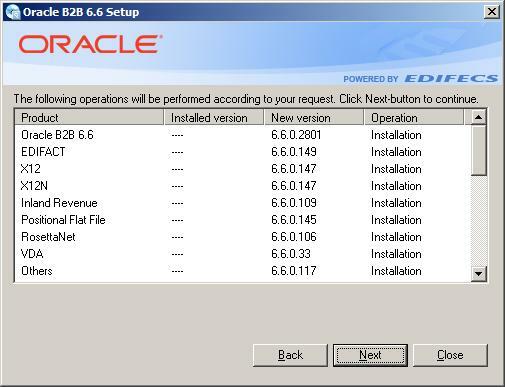 Hi, iam using oracle soa 11.1.1.6 in windows 64 bit,i need to work with b2b. i think b2b doc editor which version is compatable for soa 11.1.1.6.